English is widely used in business circles. Nonetheless, knowledge of a few words of Amharic will be appreciated by Ethiopian business associates. Interpreter services are available in Addis Ababa if necessary. Business etiquette is quite formal in Ethiopia with appointments required for business meetings and suits and ties normal attire for visits. Business meetings usually start 10 to 15 minutes later than planned, and most often start with a handshake and an exchange of phone numbers or business cards. Ethiopians are sociable, so it is natural to have a round of greetings at the start of a meeting to include several polite queries into the health and wellbeing of each person and their family members. The small talk may also encompass weather or any current news. Ethiopia is a forward-looking country. However, in the event that the business associate is a Muslim woman who wears a hijab, foreign male visitors should not attempt to shake hands with her unless she extends her hand first. One key thing to note is Ethiopian time. According to international time zones, Ethiopia falls under Eastern Africa Time (EAT) which is 3 hours ahead of Coordinated Universal Time (UTC). However, almost all Ethiopians use a 12-hour clock that follows the sunrise/sunset cycle. 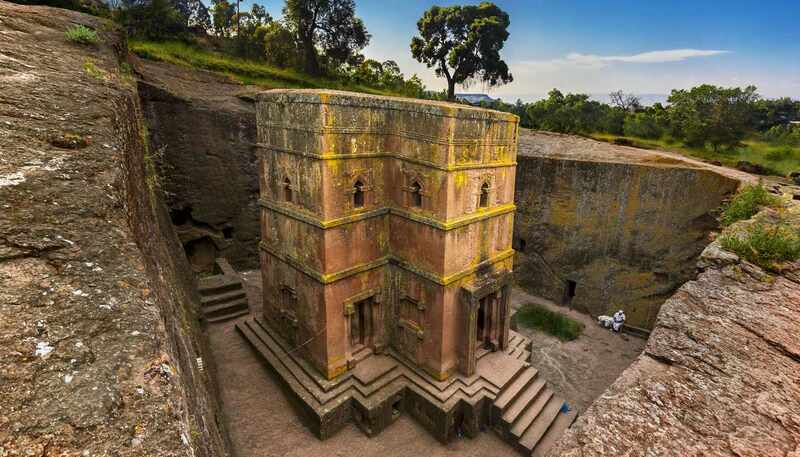 It must be explained that geographically, Ethiopia sits just 18 degrees north of the equator, it therefore enjoys fairly consistent 12 hours of daylight and 12 hours of night-time throughout the year, making it easy for Ethiopians to divide the day this way. For example, at 0700 Eastern Africa Time is when the sun rises, marking the first hour on the dawn-to-dusk cycle and therefore locals call this "one-o'clock". At 0800 Eastern Africa Time is the second-hour (two o'clock), so on and so forth. In the evening at 1900 Eastern Africa Time, Ethiopians start the other 12-hour cycle from dusk to dawn, so 1900 is the other one-o'clock to the locals. Keep this in mind and confirm with your business associates if the meeting is set for Eastern Africa Time or the local Ethiopian time. Coincidentally, Ethiopian also has its own calendar which sees the first 12 months having 30 days each, plus a 13 month with either 5 or 6 days. However, business meetings usually follow the widely-used Gregorian calendar. Government offices operate from Mon-Thu 0830-1230 and 1330-1730. And Fri 0830-1130 and 1330-1730. Banks open from Mon-Sat 0800-1730. Shops generally open from Mon-Sat 0800-1300 and 1400-1730. Driven by healthy investments in infrastructure and manufacturing, and sustained development in the agricultural and service sectors, Ethiopia has been growing at a rate between 8% to 11% annually from 2005. Despite the strong growth, challenges remain. Less than 15% of its land is arable but with 70% of the population employed in the agricultural sector, which is also subject to shifting weather patterns, soil erosion and over-grazing, there are limited options when it comes to managing drought and famine. To overcome this, Ethiopia has been attracting investment from Chinese investors with flagship projects including the Light Rail System in the capital and the Addis Ababa to Djibouti Railway funded entirely by several Chinese firms. The construction of the multi-billion Grand Renaissance Dam project in the western region of Benishangul-Gumuz is currently underway. When finished, the dam promises substantial future revenues for the state by selling electricity to neighbouring countries while also providing Ethiopia with cheap electricity. Meanwhile, the state-owned Ethiopian Airlines has expanded its network and grown to become Africa's largest carrier in terms of revenue and profit. This, together with the growth in the hospitality sector, means services have now surpassed agriculture as the principal source of GDP. Coffee, oilseeds, vegetables, gold and cut flowers. Machinery, aircraft, metal products, electronics, petroleum products, vehicles, chemical and fertilizers. With mobile phones so widely used by locals and tourists alike, public payphones are no longer widely available in towns and cities. Roaming agreements exist with many international mobile phone companies. Getting a local pay-as-you-go SIM card is highly recommended if you have an unlocked phone. A SIM card starts from 15 Birr and visitors only need a passport to register. Wi-Fi is available in hotels, though the coverage can be patchy and the service can be restricted by the government during school exams. Using your mobile data is a good alternative. Although there are many privately-owned TV networks and radio broadcasters as well as independently-owned newspapers in Ethiopia, the government still has a stranglehold over media within the country. The control ranges from frequent censorship to outlawing stations that are deemed as "terrorist organisations" by the government. Ethiopians are deeply passionate about football. Consequently, satellite services like DStv which show football matches are hugely popular. EBS is another popular privately-owned network featuring talk shows, game shows, movies and dramas. Major newspapers include the privately-owned The Reporter (published in Amharic and English) and the state-owned Ethiopian Herald (in English). Airmail services to and from Europe take five to eight days to arrive and are reliable.